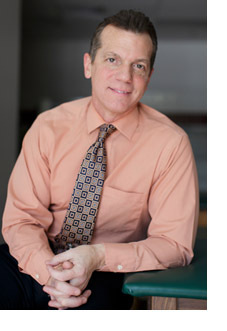 Christopher H. Wise was a Clinical Associate Professor in the Institute of Physical Therapy Education at Widener University and former Program Director for the PTA Program at Alvernia. Dr. Wise received his PT degree from Arcadia University and his doctoral degree from Widener University. He is previous owner of WISEfeet, P.C, a functional foot orthotic prescription service, and co-owner of Therapeutic Articulations, LLC, and a provider of educational resources for Physical Therapists. Dr. Wise is a certified athletic trainer, certified manual therapist, has received his board certification as a clinical specialist in orthopaedics and is a Fellow of the American Academy of Orthopaedic Manual Physical Therapist. Dr. Wise’s clinical and research interests lie in the areas of orthopaedic manual physical therapy of the spine and lower extremity biomechanics. He has published on classification of shoulder impairment syndromes and has collaborated in the publication of two monographs for the Orthopaedic Section of the APTA on manual PT for the cervical spine and post-surgical management of the thoracic spine. He has presented the results of his research including a model for teaching Grade V spinal mobilization as well as several case studies related to the application of orthopaedic manual PT techniques. In 2009, Dr. Wise co-authored a text entitled, “Mobilization Notes: A Rehabilitation Specialists Pocket Guide” (F.A. Davis). His second textbook entitled, “Orthopaedic Manual Physical Therapy: From Art to Evidence” (F.A. Davis) was published in 2015. He has also initially co-authored an iPod application entitled, “iOrtho+”, which is currently available on the iTunes and Android markets. Dr. Wise has been involved in teaching continuing education courses on manual physical therapy for over fifteen years. Are there Differences in Energy Consumption and Distance Ambulated in Young Healthy Adults Using Canes?